Medium shrub - Typically grow to around 4-6 feet in height - woody, spreading shrub. Scandent habit (climbs or scrambles by means of flexible stems which grow through or over supports, attaching themselves loosely, if at all). Partial shade - shelter from cold winds. 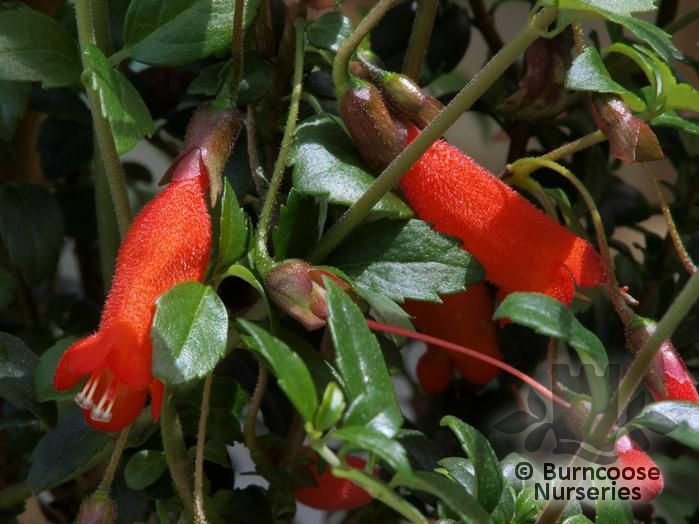 Additional Features	- Good to know - can be grown as a weak climber or as a low-growing, spreading shrub. Commonly known as: Chilean mitre flower.